REMINISCENCES OF THE CONNECTIONS of one's family and self with the Methodist Church wander over a great number of years, for my parents joined the church on their entry to Australia from England in October, 1912, and remained members until their passing in 1930 and 1948. My father, A.E. Robinson, was a lay preacher for many years until no longer able to carry on, and my memories include accompanying him to churches, not only those still existing centres at Pelaw Main, Mulbring and Brunkerville, but also to Neath, Heddon Greta and Sawyer's Gully. He also preached in churches of other denominations, particularly the Baptist and Presbyterian, when the last-named occupied the block where the Co-op. Society garage now stands. We also attended the Mission Hall at Abermain, in Harle street, round the corner from the Denman Hotel, when he preached on the second Sunday after its opening. After this service we walked home along dark, rough gravel roads to Stanford street, Kurri, when cars were few and far between, and buses non-existent. I would pay tribute, unquestioned I'm sure, to the influence his efforts had in directing several younger men to the ministry of Methodism. I would mention here my mother's brother, Rev. Arthur J. Keeling, who left Stanford Merthyr mine about 1917 to enter the ministry. He served in much of N.S.W., from Wilcannia to Moree to Casino and lastly Chatswood, serving at one period as President of the Methodist Conference. 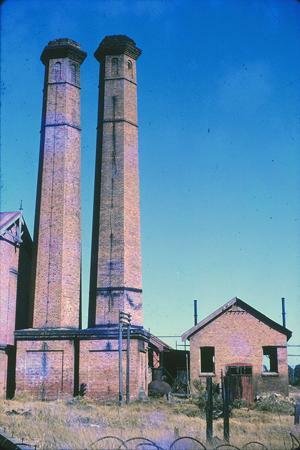 Kurri, being a mining community has always been loyal to the cause of the miners fighting for conditions, to the extent that restrictions placed on the use of electricity by the Unions about 1928 meant that no lighting by this means could be enjoyed by anyone, under the threat of reprisals such as perhaps broken windows or victimisation by work-mates, or boycotting of a business. A visiting Missionary at S.S. offered a prize of a daily Scripture calender for the one who could find a verse of scripture that had 22 words. Three of the words were used four times each. The first week produced no discovery, so a clue was given: - one of the words was "upon" used four times. Second week, still no results, so a second clue was given. The word "precept" was also used four times. The prize was mine! What was the verse?